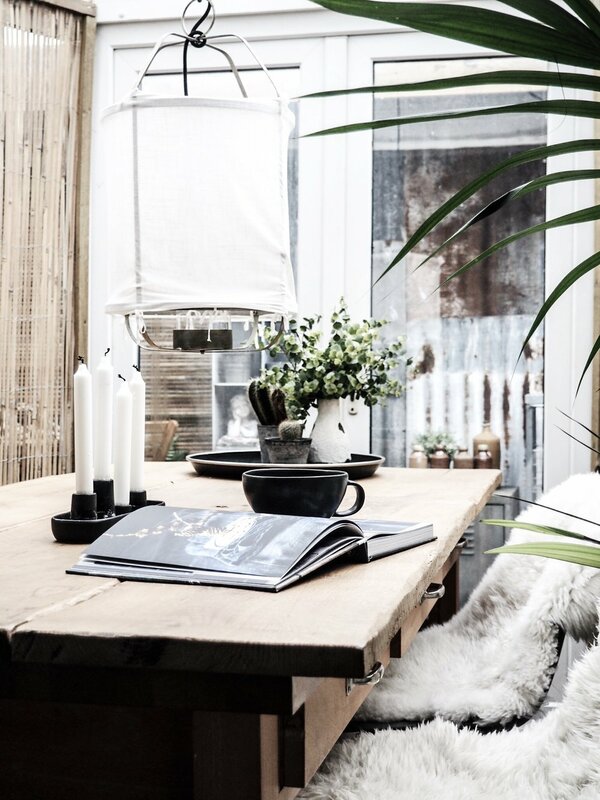 If there was ever an incentive to have a second home that I could design in a scandi, rustic vibe, this home would be my reason for doing it. 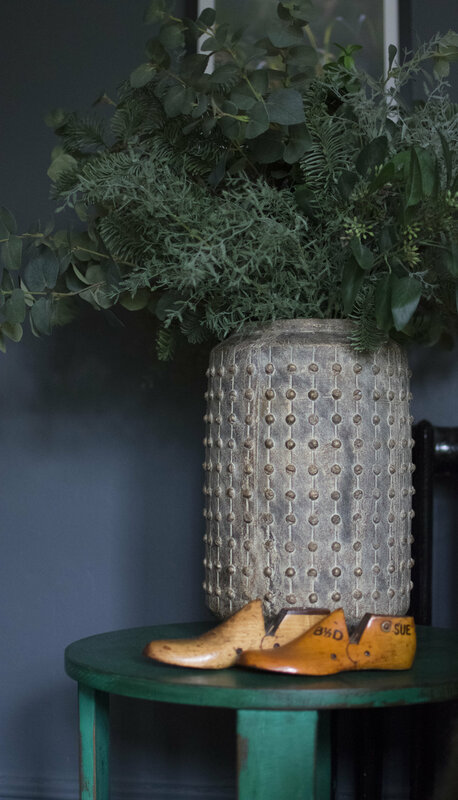 Today on the blog we have Kate Young and you only need to take one look at this gorgeous house, full of texture, white, browns and blacks, rustic furniture and vintage items to be seriously tempted by this style. Rustic boxes and brown wooden candle holders add texture to this room. 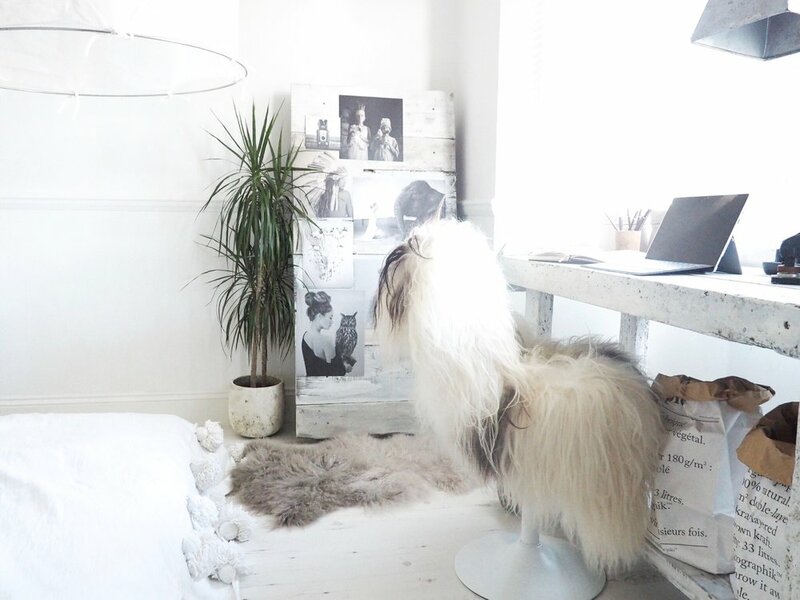 I am Kate Young, I am an Interior Stylist and blogger and I live in the South of England with my two daughters Maddie, Tigerlilly and our mini Jack Russell Buddy. I am French but fell in love with London during my gap year and never really went home! I studied Psychology at Uni.I can speak 6 languages and began my working career as a translator. I know everyone always says it but I have always been into interiors and design so once the children were settled at school I decided to go back and study a degree in design with KLC London. Our home is a detached turn of the century 4 bedroomed house which had been badly neglected through the years, it was also stripped of all its original features when we moved in. we are renovating on a very tight budget therefore of lot of furniture and fittings come from eBay and Gumtree. The kitchen including appliances cost us less than £800! The lockers in the bedroom were a lucky find from a closing down garage and we paid £40 for the pair. 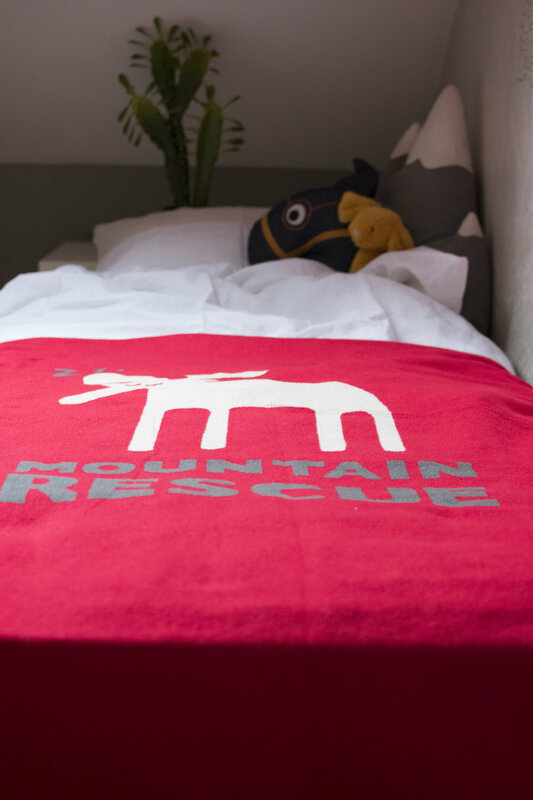 The bed is made from 100-year-old wood from Poole Quay. The work bench in the living room was free from the tip. I tend to spend the money on things like linen bedding, lighting and art. My style has evolved quite a lot over the years but I am now completely comfortable with very little colour. 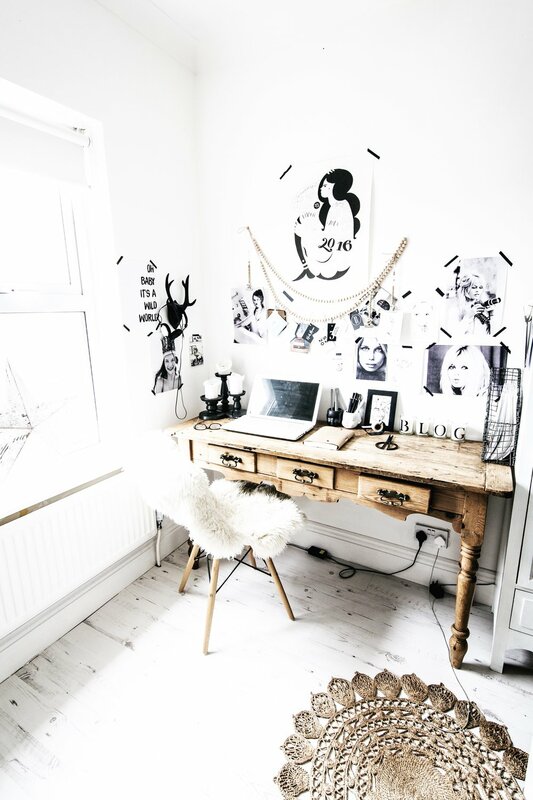 I guess I would describe my home as monochrome boho. I love texture and I use a lot of natural materials at home such as linen and weathered wood. I am not a maximalist and suffering from depression and anxiety I find it difficult to cope with chaotic busy surroundings which can be tricky as I love vintage and unearthing treasures is one my favourite hobbies. So, I tend to declutter regularly and change things around a lot whilst keeping a mix of natural earthy colours and plenty of texture. White is present throughout the house except for Tigerlilly’s room which is black and the small kitchen is also black. I love the way darker colours add interest to small potentially quite bland spaces like the kitchen. My next project is the bathroom which is the only room that hasn’t been touched since we moved in and I can’t wait to finally show off my roll top bath! Thanks for sharing your gorgeous home Kate!